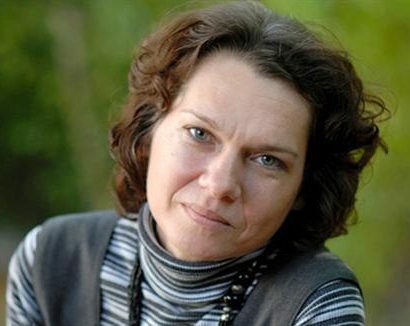 Aslı Erdoğan (Turkey, 1967) is a Turkish writer and human rights activist. In 1998 she published her much acclaimed novel Kırmızı Pelerinli Kent [The City in Crimson Cloak], for which she received numerous of accolades from abroad. She is also known for writing articles for the Turkish newspaper Özgür Gündem, which mainly targets people of Kurdish origin. The newspaper was shut down by a Turkish court order in 2016 and around twenty journalists, including Erdoğan, were taken into custody. Subsequently, she spend 136 days in an Istanbul prison and fled the country after her release. Erdoğan currently lives in Germany and recently she received the Simone de Beauvoir Prize for her advocacy on international human rights, gender equality and women’s freedom.